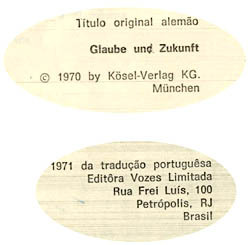 The following text is our English translation of an excerpt from Glaube und Zukunft (1970) in its 1971 Portuguese edition, titled Fe e Futuro (1971, pp. 76-78, bottom right). The book reproduces five lectures by Fr. 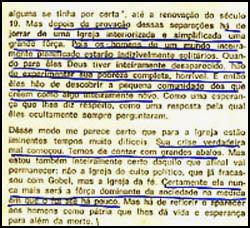 Joseph Ratzinger given in 1969 at radios stations in Baviera and Hessen. 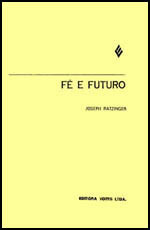 We selected this text where he expounded his progressivist dream for the Church of the future. 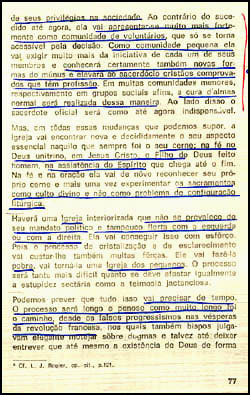 Now that he is Pope, and since his convictions have not changed (click here), he probably will work to destroy the Church in this way. "Her [the Church's] real crisis has hardly started. We still have to go through some great storms .... Certainly she will never again be the dominant force in society to the degree that she was until recently."